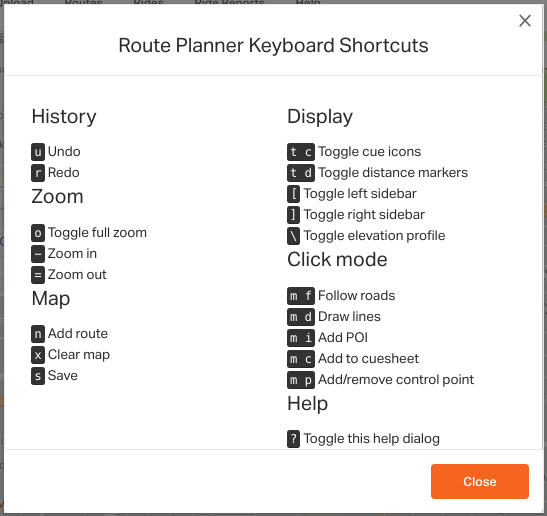 When planning or editing a route, you can help streamline your workflow by using the keyboard shortcuts listed below. Go to the OPTIONS tab in the right side panel. Click KEYBOARD SHORTCUTS to see a list of all the shortcuts. Or press the ? key at any time to bring up the shortcut list. 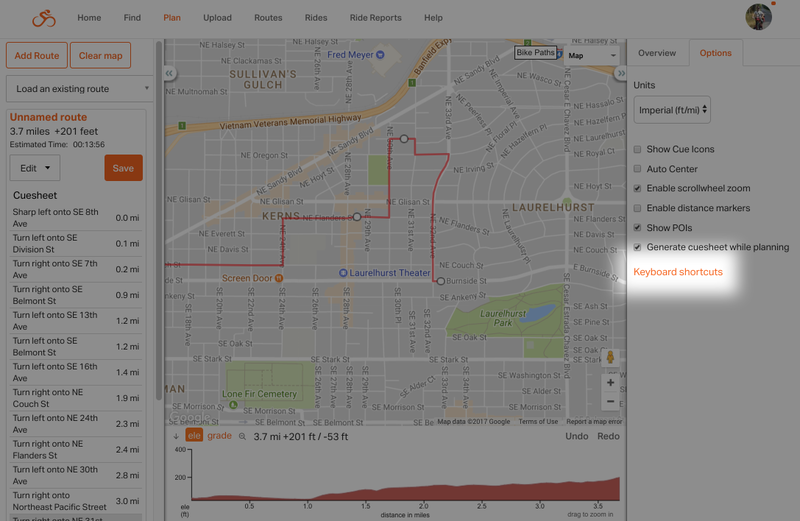 At this time, the shortcuts only work when planning and editing routes, not when viewing a route or ride.